While it's quite common for marketers to offer incentives to insure completion of a survey, the Hungarian office of PR firm Sawyer Miller has swept aside those less than motivating one dollar bill, Amazon coupon and free iTunes download offers for what really matters: a stripping hottie. Answer a question, off comes a piece of clothing. Get an answer wrong, no matter. Just keep clicking until you get the right answer and...off comes a piece of clothing. Of course, it's less of a survey and more of a presentation as there's only one correct answer to each question. Not that it matters but it has something to do with Hungarian economics. Have fun but turn the volume down if you're at work lest you want co-workers to think there's a lunchtime quickie rockin' your cube. Thanks, Rick. Furthering its embrace (experiment?) 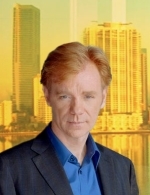 of releasing television content online, CBS will produce original content of its hit drama CSI Miami and will show it exclusively on CBS.com. Promising to reveal a major secret about team of CSIs, the scene has local news reporter Erika Sykes (Amy Laughlin) share a piece of information with Detective Ryan Wolfe (Jonathan Togo) that, we're told, will lead to an undercover investigation that will unfold on the show this season. Way to tease, CBS. The bonus scene will appear online immediately following the east coast broadcast of CSI Miami, Monday, November 21. The bonus material featured on CBS.com will be sponsored by GM's Hummer, featured heavily in the series. CBS and Hummer will promote the combined broadcast/online storyline with spots on the network and ads on CBS.com. A recent eROI study which examined open and click rates of mailing lists of all sizes across all the days of the week found, on average, Sunday was the best day with an open rate of 30.8 percent and a click rate of 7.2 percent. Before all marketers rush out and clog up everyone's lazy Sunday afternoon with e-trash, the study also indicated that the best day to mail varies with list size. The bigger the list, the less efficient. Lists over 200,000 do well on Saturday. Micro mailers (extremely small) do best on weekends. Small mailers do best on Friday. Mid-sized lists do best on Monday and Friday. Maine Root Beer has launched a site called Free Range Root Beer which pits itself against the big guys whom Maine Root Beer portrays as large, tasteless entities which add all kinds of filler to their product. The site contains humorous videos including one in which a stealth Free Range Root Beer team attempts to free cans of root beer which have been taken from the wild and placed in a corporate jail cell. There's a history of root beer, an area for kids, a photo contest for people to send in photos of Maine Root Beer placed in strange locations and a section where root beer lovers can express themselves through art therapy. Funny stuff.